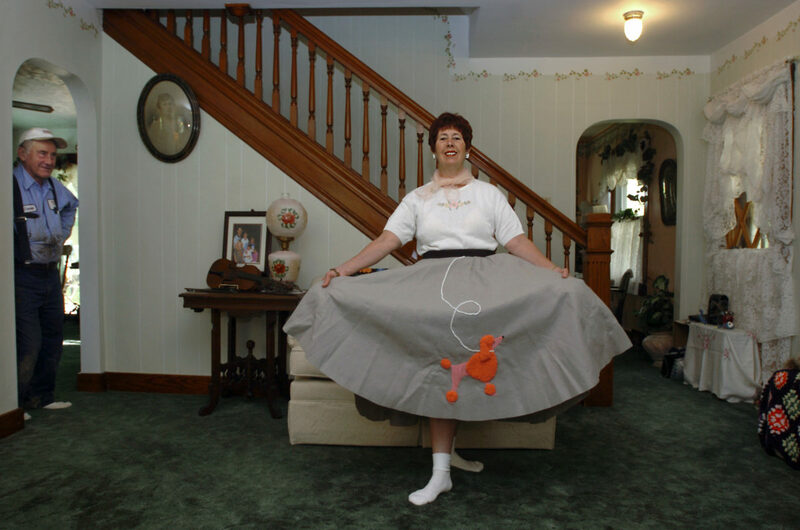 Billie Thompson wears her poodle skirt in her living room at her home in Parks Township, Pa. Thompson came of age in the 50’s and reminisced about clothing styles, and the way of life back then. She always wanted a poodle skirt and never had one until she went on a cruise and made one for 50’s night. This image is not currently available for licensing.